Getting your kids interested in science is very important. Today there is a shortage of people going into STEM fields (Science, Technology, Engineering and Math). But beyond possible career directions, developing an active curiosity and interest in science can yield all sorts of benefits for children. It can lead to them becoming better critical thinkers and rational adults later on. Because of under-representation issues, these days many parents are also wondering how do you get girls interested in science or STEM careers? And how do you get kids interested in STEM or science more generally? In this article we’re going to list several ideas you can try to ignite an interest in science and STEM. The example ages listed below are suggestions but the age-appropriateness of each activity will differ with each child. Let’s begin! For children of all ages, play is a great way to learn and develop interests. If you’d like your child to become interested in science, you probably aren’t buying them a bunch of princess toys to begin with. Buying STEM aligned toys might take many forms, from explicitly science oriented toys to buying toys that require them to use their brains. Legos: Although you can build Legos according to the kit instructions, free-play and free-building can help to develop an interest in engineering or just learning how to put things together in creative ways. Browse Lego kits for different ages here. Science kits: From DIY solar powered model car kits to model rockets that blast off, to robotics kits to weather kits, there’s all sorts of age-appropriate science kits for kids out there. For more ideas, see our companion article: 12 Science & Weather Gift Ideas for Kids & Aspiring Meteorologists. Science museums are often geared towards children with a wide range of age-appropriate exhibits and experiences. A family trip to your local science museum (or any science museums that are nearby when you’re traveling as a family) can be a wonderful experience for a child. Beyond formal science museums, there are other types of science experiences that children can gain from. A trip to an observatory or planetarium can spark an interest in space for kids. Even a walk in the woods at different times of year accompanied by a conversation about the seasons changing can be interesting to children. 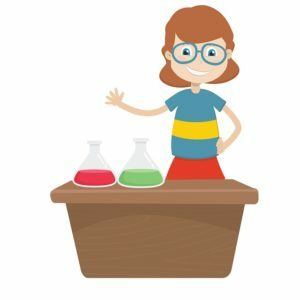 If your child is young, there are also lots of easy home science experiments you can look up on YouTube to do with them. Depending on the age of your child, getting them a science related book from the library or as a gift can be a great way to increase their interest in science. Check out this terrific list of science themed books from the American Library Association. It’s sorted both by age and science topics from chemistry and physics to earth sciences, weather, medicine, animals and the environment. No matter the age of your child, there are all kinds of movies available that you can watch as a family. When movies have scientists as heroes they can increase your kid’s interest in science fields and STEM topics in general. And–crucially– you don’t want to stop at just watching the film. 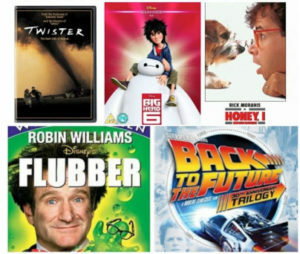 Discussing the movies after you’ve seen them as a family helps to boost children’s interest too. Talk about what your favorite parts of the movie were, what characters were your favorites, whether they seemed realistic or not and so forth. If a film is based on a true story, you can look up more information about the events or concepts or characters online at a place like Wikipedia together. Movies like The Martian, Apollo 13, and Hidden Figures are great space movies for instance. Browse more science themed movies for kids. Science or nature documentaries and educational programming on PBS are also great possibilities. Have you read any interesting articles about science topics lately? Do you watch the evening news as a family? You can start discussions about science related news. Whenever your child asks you a question that’s science related (“Why is the sky blue?” “How do cars work?” etc) look up the answer online together and figure it out. This leads kids to understand how to answer questions for themselves and can also lead into a discussion of how things work. You can start these conversations yourself too: wonder out loud how something works or ask your kid if they can figure it out or have any ideas. Then look up the answer together and talk about it. Bring it up again later when you see something similar in everyday life. This reminds me of XYZ. Remember when we learned about something similar? The amount that you need to “dumb down” for your kid will depend on the topic and the age of your child. Don’t be afraid of explaining several different concepts just to explain the original question however. You never know what a kid will remember or develop an interest in– even if it comes up tangentially. If your kids are old enough to have a science class in school, ask them what they did today in science and take particular interest in it. Ask questions about what they’re learning about and what activities they’re doing. You can also listen to science podcasts for kids in the car while you’re driving your children to soccer practice or on errands. Discussing science radio shows or science news can help show your kids even amongst you and your spouse out loud while your child is around can signal that something is interesting.